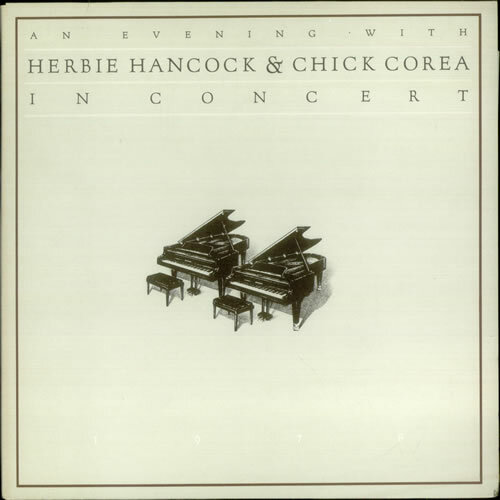 HERBIE HANCOCK & CHICK COREA An Evening With Herbie Hancock & Chick Corea In Concert (1978 Dutch 6-track double LP, recorded over the course of several live performances in February 1978. Hancock can be heard in the left channel and Corea in the right, both playing acoustically. The gatefold sleeve is textured on the outside and glossy on the inside and the vinyl mint). Related Artists: Corea Hancock, Grandmixer D.ST, Greg Osby, Mike Clark, Patrick Gleeson, V.S.O.P.